Controversial planned changes to the MoT test will increase the number of unsafe vehicles on Britain's roads, according to new research from HonestJohn.co.uk. 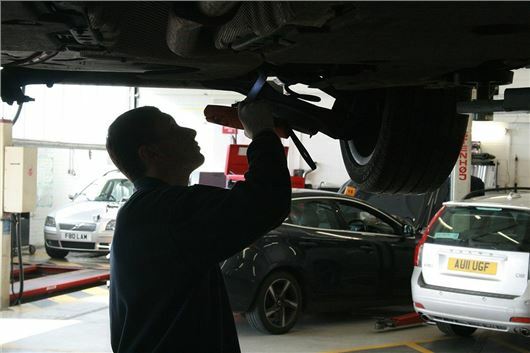 The Government's plans to extend the annual roadworthiness test from three to four years – which is currently undergoing a consultation period - could mean 385,000 vehicles that would have failed their first MoT will slip through the net and remain on the road unrepaired. HonestJohn.co.uk analysed millions of MoT records from the Driver and Vehicle Standards Agency (DVSA) and found that one in six cars were refused their first MoT, with most failing due to unsafe brakes, lights and tyres. The revelation comes as HonestJohn.co.uk published the MoT Files for the first time in three years, following a Freedom of Information (FoI) request and protracted fight with the DVSA to make the data public. Success in this long-running battle means that for the first time in years owners and prospective buyers once again have detailed access to the latest MoT records and reasons for failure. It has been published in full here. The worst car manufacturers for the first MoT in 2016 were Chevrolet, Citroen and Dacia, with respective pass rates of 78, 79 and 81 per cent. Honda, Porsche and Subaru all hold a collective first place, with the trio showing a first year average pass rate of 91 per cent. The car with the highest pass rate during the first MoT in 2016 was the Lexus RX 450h with an impressive score of 94 per cent. The Honda Jazz was second (93 per cent), followed by the Mazda MX-5 (93 per cent), Volkswagen Golf Plus (92 per cent) and the Audi Q5 (92 per cent). 4 years to 1st Mot, madness, pure madness. We have people driving cars here who know nothing, or who don't give a damn. Really in 2017, this cannnot happen! I think that it will though ! like most thing these days in the UK, the powers-that-be do not , or will not , understand the real world and join in like the rest of us have to....apart from Brexit that is ?! On the other hand this might be to ensure the control of the population by adding significantly to the death toll on the roads due to badly serviced/repaired vehicles, thus slightly offseting the delay by Mr Trump and his North Korean pals to eliminate half of the world population at a stroke, which is unfortunately urgently needed as we [the humans] are hell bent on destroying everthing anyway.Or at least that is how it is currently portrayed by the mighty media. However,joking aside,it is questionable as to why our friends in Wasteminster have decided on this plan anyway /As there is no apparent reason financially or politiclly for it as far as I can see.I will be taking my classic car[s] for testing anyway as I am sure the insurance industry will be watching this issue very closely indeed.END OF RANT. I don't think that the survey can be accurate. Brakes and tyre wear are down to driving style and mileage, and a bulb can fail in any make or model of car. Presenting a car for MOT with these basic faults is down to the owners' awareness and diligence. The 4 year MOT rule has been in place for years in Northern Ireland. Do they have any problems with it there? spain is 6 monthly for commercials and all trailers over 750kg need a test aswell!!!! Spain is every 6 months after 10 years old for commercials but 4 years old for first test and then every 2 years, trailers 750kg nothing untill 6 years and then every 2 years. Cars anually after 10 years old. There seems to be no cause for concern about dangerous cars in Spain, probably because they take more care over their prized possesions of which a car is one of those. Why not simply make it a legal requirement to have an annual comprehensive vehicle service which also incorporates aspects of the existing MOT and forms part of a national statistics data base. Such a scheme would ensure a majority of vehicles receive at least one service per year and simultaneously help identify any trend in vehicle defects or failure. A small minority of vehicle owners are reluctant to carry out any form of vehicle servicing unless presented with an MOT failure.